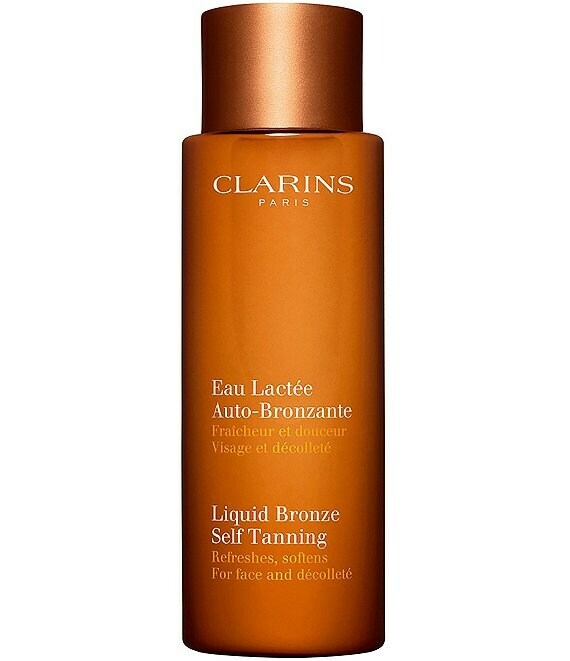 Liquid Bronze is an innovative new self-tanner that's ideal for individuals who want a fast, new way to achieve a mistake-proof, natural-looking tan for the face and décolleté without the sun. Its refreshing texture dries instantly with a perfect matte finish and allows all skin tones, even the fairest, to achieve natural-looking results. Providing a silky-smooth feeling, this liquid bronze includes super softening aloe vera to help preserve the skins natural balance and jasmine and violet to offer an irresistible floral fragrance.